British-born writer A.J. 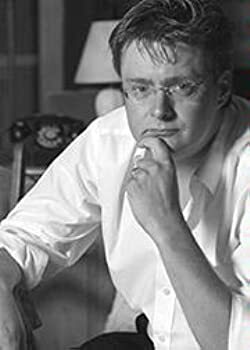 Hartley, author of the New York Times bestselling The Mask of Atreus and On the Fifth Day, is the Distinguished Professor of Shakespeare in the Department of Theatre and Dance at the University of North Carolina at Charlotte. As well as being a novelist and academic, he is a screenwriter, theatre director, and dramaturge. He is married, with a son, and lives in Charlotte. Learn about his other novels at A.J. Hartley’s website. CLICK HERE FOR MORE STORIES BY A.J. HARTLEY. 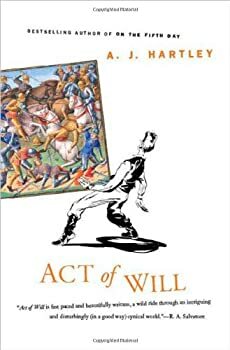 Will Hawthorne — (2009-2013) Publisher: Act of Will is a boisterous fantasy adventure that introduces us to Will Hawthorne, a medieval actor and playwright who flees the authorities only to find himself inextricably bound to a group of high-minded adventurers on a deadly mission. Will travels with them to a distant land where they are charged with the investigation and defeat of a ruthless army of mystical horsemen, who appear out of the mist leaving death and devastation in their wake. In the course of Will’s uneasy alliance with his new protectors, he has to get his pragmatic mind to accept selfless heroism (which he thinks is absurd) and magic (which he doesn’t believe in). Will must eventually decide where his loyalties really lie and how much he is prepared to do — and believe — to stand up for them. A.J. 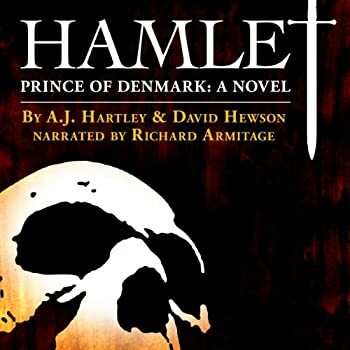 Hartley is best known as a writer of best-selling mystery-thriller novels, as a distinguished professor of Shakespeare in the English Department at University of North Carolina, and as editor of the Shakespeare Bulletin published by Johns Hopkins University Press. Dr. Hartley’s theater expertise is readily apparent in Act of Will, the first book of his first fantasy series. Will Power is A.J. Hartley’s second book about actor-turned-adventurer Will Hawthorne. It’s a direct sequel, beginning just a month after the events in Act of Will, but a reader could easily enjoy this book without reading Act of Will. 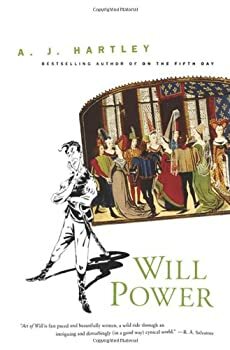 In Will Power, Will and the gang are swept away to what appears to be a parallel universe in which goblin-like creatures are threatening the beautiful people of Phasdreille. But all is not as it seems, and Will finds himself needing to solve a mystery and, at the same time, confronting some of his own prejudices. 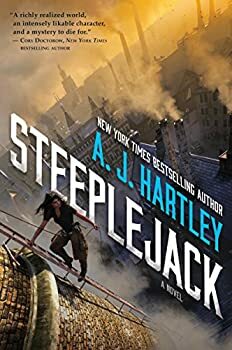 I knew Steeplejack (2016) was a YA thriller/mystery before picking up my review copy, but I wasn’t expecting it to be as solidly-written and entertaining as I ultimately found it to be. A.J. Hartley has not only created a compelling heroine and a richly imaginative world, but also multiple schemes driving the plot which depend on (and drive) social unrest that strikes extremely close to home in places. 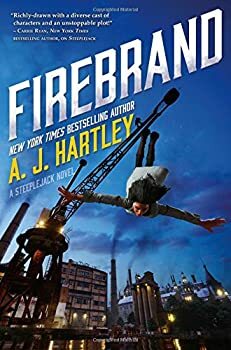 Firebrand (2017) is the second of A.J. Hartley’s STEEPLEJACK series, following shortly after 2016’s Steeplejack and continuing the story of Anglet Sutonga, a young woman with a very strong sense of justice and a knack for finding herself in trouble. Firebrand builds on the events of Steeplejack, and as a result, this review will contain very mild spoilers for Steeplejack. 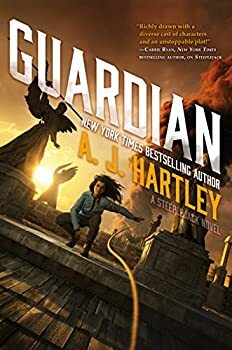 With Guardian (2018), A.J. Hartley brings his STEEPLEJACK trilogy to a triumphant close. Readers who savored the voyeuristic thrill of soaring along rooftops and bringing evildoers to justice alongside Anglet Sutonga in Steeplejack and Firebrand are sure to cheer as she tackles an even more daunting task: gathering allies both near and far to protect the city she calls home. The STEEPLEJACK books (and reviews of said books) need to be read in order, but I’ll try to keep unavoidable spoilers to a bare minimum. 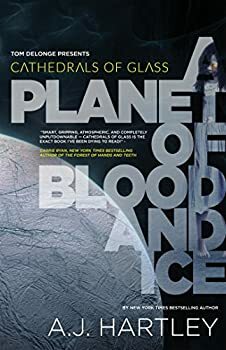 Planet of Blood and Ice (2017) is the first book in A.J. Hartley’s CATHEDRALS OF GLASS series for teens. Hartley is billing this story as Alien meets Lord of the Flies, and I’d say that description is fairly accurate since Planet of Blood and Ice is about a group of teens who must overcome the dangers of a hostile alien environment while struggling to live with each other in a safe and civilized fashion. Short Fiction Monday: There is so much free or inexpensive short fiction available on the internet these days. Here are a few stories we've read recently that we wanted you to know about. Darwen Arkwright — (2011-2013) Ages 9-12. Publisher: Eleven-year-old Darwen Arkwright has spent his whole life in a tiny town in England. So when he is forced to move to Atlanta, Georgia, to live with his aunt, he knows things will be different–but what he finds there is beyond even his wildest imagination! Darwen discovers an enchanting world through the old mirror hanging in his closet–a world that holds as many dangers as it does wonders. Along with his new friends Rich and Alexandra, Darwen becomes entangled in an adventure and mystery that involves the safety of his entire school. They soon realize that the creatures are after something in our world — something that only human children possess.